The volume of retail sales via mail order houses or the internet keeps on growing in Europe. In 2017, the figures show a year-on-year increase of 12% in the European Union. 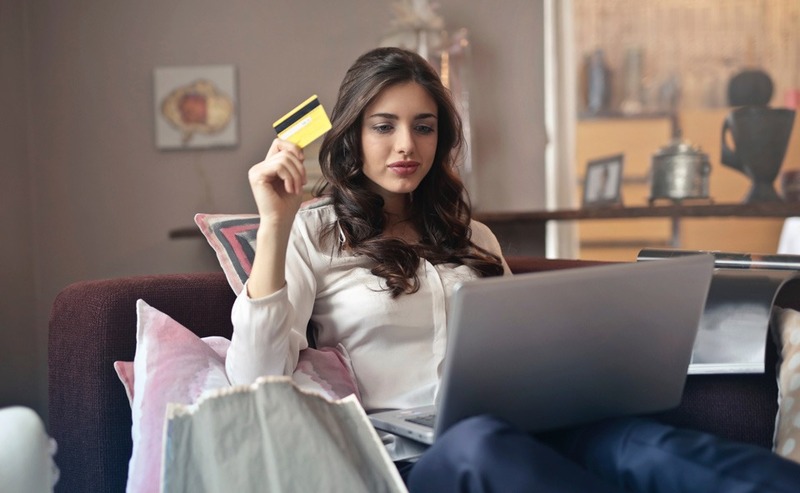 According to Ecommerce News, Estonia showed the largest annual growth, while there were falls in Finland and Portugal. This is shown by Eurostat, which showed the trends in retail trade in the European Union from 2000 to 2017. This figure looks into the total value of retail sales that happened via mail order houses or the internet. These kinds of retail sales have been increasing through much of the last decade. Since 2014, the annual growth rates have exceeded 9%. For comparison: total retail sales have developed much slower, with annual growth rates of somewhere between 2 and 3% since 2014. 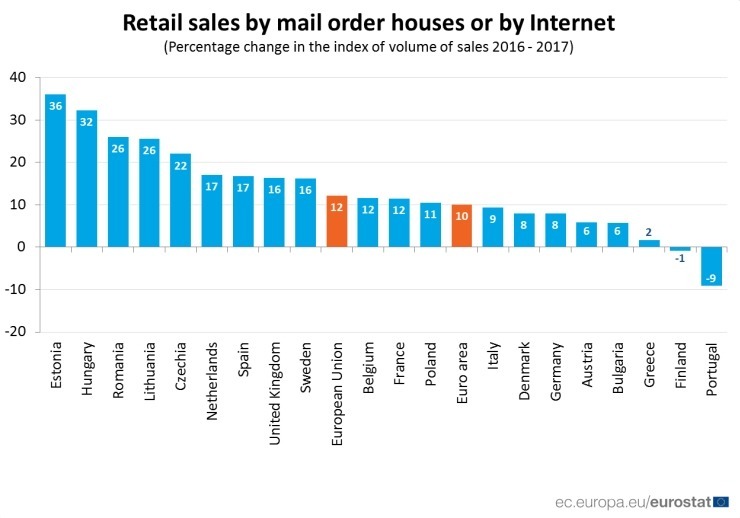 Eurostat has data from most member states in the European Union and it’s Estonia that shows the largest annual growth in retail sales via mail and internet orders. Between 2016 and 2017, the country’s non-physical retail sales increased by 36%. That’s a bigger percentage than in Hungary (+32%), Romania and Lithuania (both +26%). At the other end of the spectrum, there’s Finland an Portugal, where retail sales via mail orders or the internet decreased with respectively 1 and 9%.